Mostly sunny. High 64F. Winds NW at 15 to 25 mph. Winds could occasionally gust over 40 mph..
Tim Sturm and Moria Loyd work together to give a shot to a pig. Riley Jo Wilsted observes a pig held by Tim Sturm. 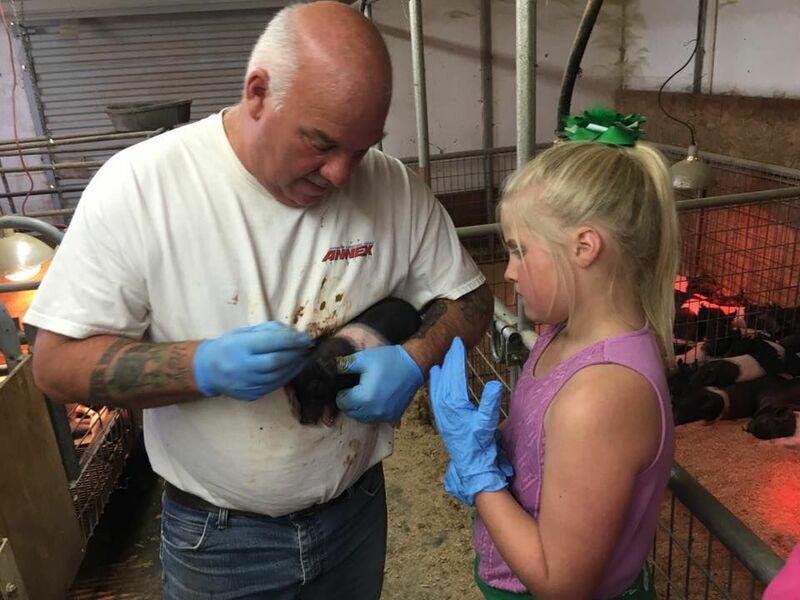 Audrey and Kristen Roghair work with Tim Sturm to care for a pig. 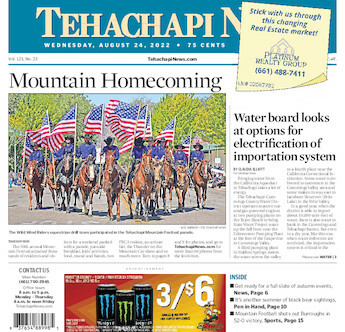 Many people in Tehachapi don’t know that we have our own breeder of high-quality show pigs right here on our mountain. 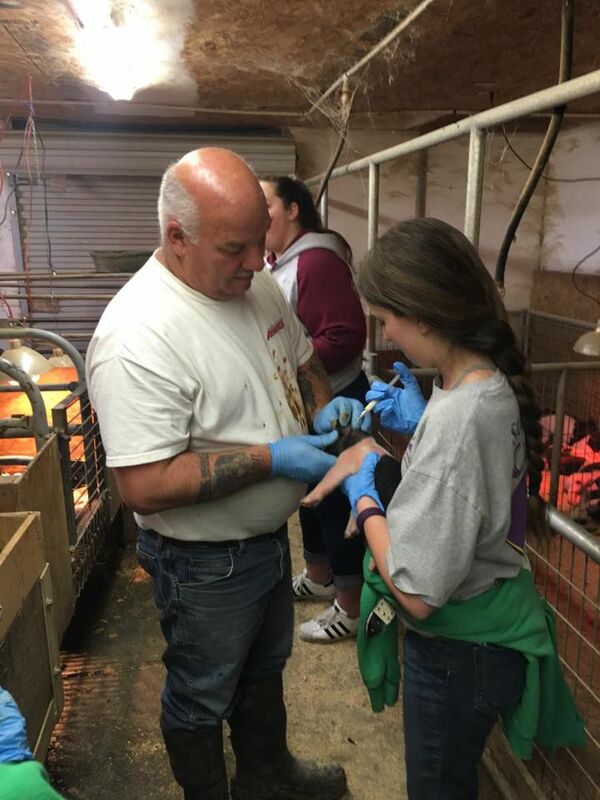 Sturm, who has a passion for teaching today’s youth about raising swine, allowed the members of the Stallion Springs 4-H swine group to come to his facility on March 17 to learn to process one-day-old piglets. The kids learned to ear notch, dock tails, administer shots and clip needle teeth. Members learned why these processes are necessary, how to do them cleanly and correctly, and last were actually able take part in the process. They also learned valuable information about pig breeding and husbandry. Many of the kids were very excited to help out because these are the pigs they will be taking to the Kern County Fair in September. One thing 4-H believes is that kids learn better by hands-on learning. The skills learned from Sturm can easily inspire kids to pursue a career as a vet, rancher, doctor or even a pig breeder! Thank you so much to Sturm for allowing us to experience how to process piglets. See you in the final drive! Olivia Loyd is the reporter for the Stallion Springs 4-H Club.